Our teen classes specialize in teaching your teenager the importance of self-discipline and self-control. Our class structure provides life-long self-defense skills and teaches the value of staying healthy and staying in shape. 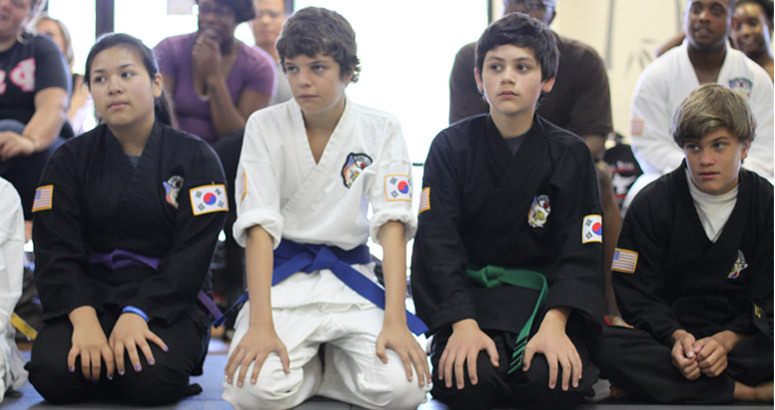 The opportunity to participate in our Teen Leadership Program offers your teenager the chance to take a leadership role and teach other children the skills they have learned and also to be a good example in and out of the martial arts school.